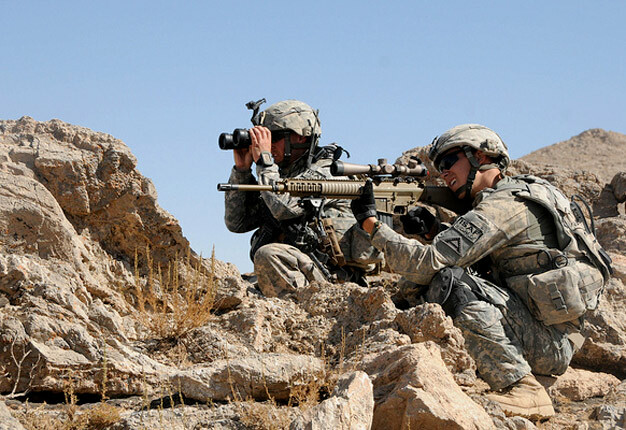 U.S. Army soldiers with Charlie Company, 1st Battalion, 4th Infantry Regiment look for suspicious activity from an observation point during an area reconnaissance mission off Highway 1 in Zabul province, Afghanistan, on Oct. 1, 2010. DoD photo by Spc. Joshua Grenier, U.S. Army.